Substances that block the enzyme that is responsible for the breakdown of the endocannabinoid anandamide might be used to treat anxiety and depression, a new study says. 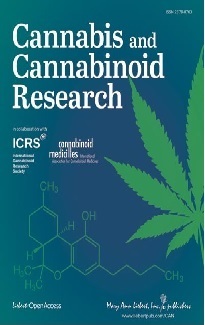 Endocannabinoids act similar to THC at the cannabinoid receptor but their effect is short-lasting since they are quickly split into breakdown products by the enzyme FAAH (fatty acid amide hydrolase). Inhibitors of FAAH prolong and thus amplify endocannabinoid effects. Two FAAH-inhibitors, URB532 and URB597, were tested in animal models of anxiety and depression. When given the substances, the animals squeaked less when subjected to isolation and were less hesitant when placed in a maze. These effects were accompanied by augmented brain levels of anandamide. The effect of these experimental drugs is similar to antidepressants, which boost brain levels of another neurotransmitter, serotonin, lead researcher Daniele Piomelli, professor of pharmacology at the University of California at Irvine, said. "Some people have low levels of serotonin, and maybe there are some people who have low levels of anandamide," he said. Human studies with the new drugs could begin within a year, he added. According to a survey of the General Accounting Office (GAO) state laws legalizing the medical use of cannabis are operating primarily as voters intended and have not led to widespread abuses. "Officials from over half of the 37 selected federal, state, and local law enforcement organizations we interviewed in the four states said that the introduction of medical marijuana laws had not greatly affected their law enforcement activities," the report says. In some cases, law enforcement officials said that marijuana laws resulted in "a general softening" in attitudes among the public toward marijuana, but "none of the federal officials we spoke with provided information to support a statement that abuse of medical marijuana laws was routinely occurring in any of the states, including California." Both the number of patients using cannabis medicinally and the number of doctors prescribing it is relatively low in Alaska, Hawaii and Oregon. Only 1-3 percent of the physicians in Oregon and Hawaii - the two states where such records are kept - recommended cannabis to their patients. Most registered patients were over 40 years old. "Severe pain and muscle spasms were the most common medical conditions for which marijuana was recommended," the report says. According to its own words "the U.S. General Accounting Office (GAO) is an agency that works for Congress and the American people. Congress asks GAO to study the programs and expenditures of the federal government. (...) GAO advises Congress and the heads of executive agencies about ways to make government more effective and responsive." 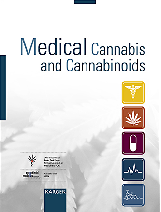 The GAO report, "Marijuana: early experiences with four states' laws that allow use for medical purposes," is available online at: www.gao.gov/new.items/d03189.pdf. A study by the RAND Drug Policy Research Center contradicts the theory that marijuana acts as a so-called gateway drug to more harmful drugs such as heroin and cocaine. Using data from the National Household Survey on Drug Abuse between 1982 and 1994, the study concluded teenagers who took hard drugs were predisposed to do so whether they tried cannabis first or not. "We've shown that the marijuana gateway effect is not the best explanation for the link between marijuana use and the use of harder drugs," said Andrew Morral, lead author of the study. "An alternative, simpler and more compelling explanation accounts for the pattern of drug use you see in this country, without resort to any gateway effects." "The people who are predisposed to use drugs and have the opportunity to use drugs are more likely than others to use both marijuana and harder drugs," Morral said. "Marijuana typically comes first because it is more available. Once we incorporated these facts into our mathematical model of adolescent drug use, we could explain all of the drug use associations that have been cited as evidence of marijuana's gateway effect." "This is a very important study with broad implications for marijuana control policy," said Charles R. Schuster, a former director of the National Institute on Drug Abuse and now director of the Addiction Research Institute at Wayne State University. "I can only hope that it will be read with objectivity and evaluated on its scientific merits, not reflexively rejected because it violates most policy makers' beliefs."